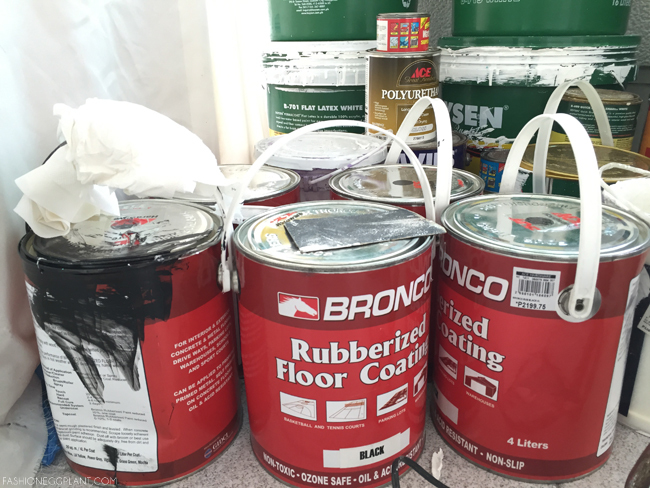 If you're looking for a fairly stress-free and affordable way to update your current floor, why not paint it? There aren't many online resources with info for painting floors in our country to I decided to write one for your convenience. I included a shopping list, steps and tips as well. Hope this helps! I've always wanted to have our floor painted. I love the look. I did it in red for the staircase in my old cafe/resto. That time, I had a contractor do it so I wasn't aware of the process they went through to achieve the look. This time around, I wanted it in black to contrast the stark, white walls and ceiling. 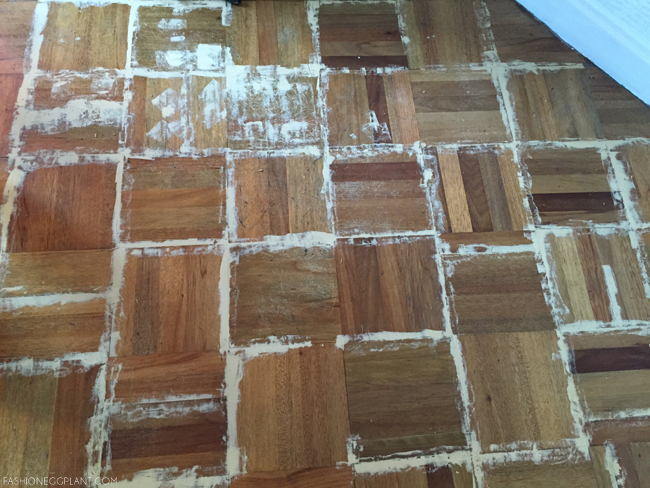 Our wood parquet floor was badly in need of repair from water damage, daily traffic and pets. Dennis was a bit iffy at first about having it painted because it was a new concept for him. He's more comfortable with traditional finishes. Our initial options were laminated wood planks or tile. The problem with laminated wood flooring is the price. The floor area we wanted to replace roughly measured 100 sq.m. With plank prices ranging from P1,000 - P10,000, it was going to cost us a fortune. Our next option was tiles. The problem I foresaw by going with tiles is the mess, hassle and time. They're gonna have to remove the existing floor, cement, lay the tile, grout, etc. I just found it too time consuming and I wasn't really that ecstatic about the tile options available either. The few I would consider were also really expensive. Because of those problems, we almost put the floor problem on the back burner. Maybe in a couple of months after saving up some money again. The thing is, after seeing our newly painted walls, I couldn't tolerate the site of these next to them anymore. After much prodding and haggling with our handyman, I was finally able to convince Dennis that painting the floor was the way to go. Unlike 3 years ago when I did all the work myself, this time, due to my busy schedule, I had to employ the help of some people. However after watching the process, I can deduce that repairing and painting floors can actually be a fairly easy DIY process. First up, you'll need a wood filler. This is the only brand they have in MC Home Depot but Ortigas Home Depot also carries PYE. Brand doesn't matter as long as it's labeled a wood filler. You'll need this to fill in any broken gaps in your floor. Just apply straight using a palette. Once it's dry, sand your floor with 80 grit sandpaper. Once you're done with that, it's time to paint! 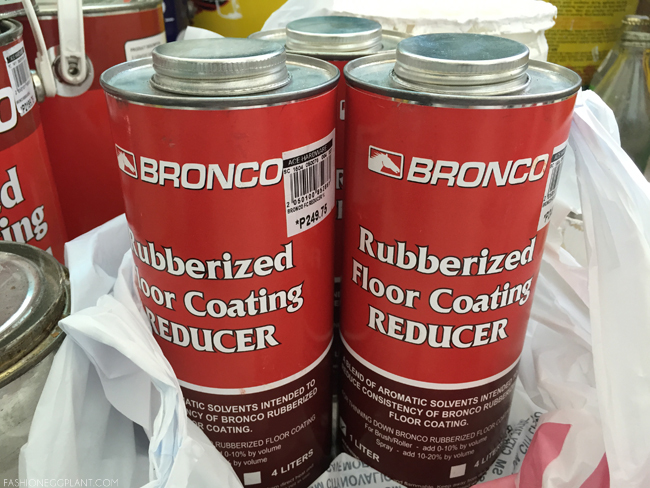 There's one by Davies which is cheaper but you need to go through the hassle of applying an epoxy primer first which takes long to dry or you can use Bronco Rubberized Floor Coating which is ready to apply and dries in just 20 minutes! 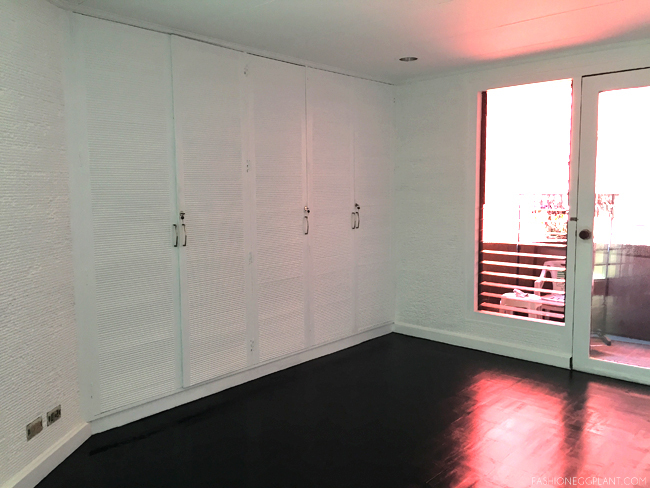 1 can costs about P2,000 and can over up to 20sq.m floor area. 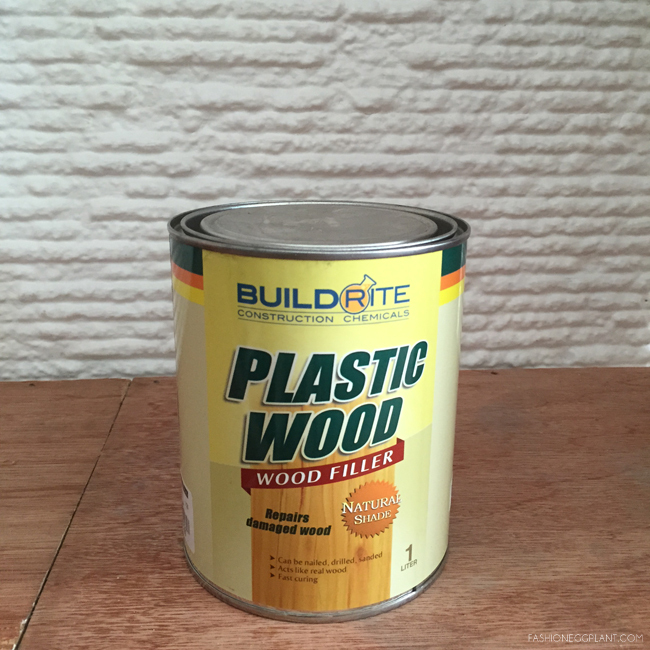 You can find it at Ace Hardware, MC Home Depot, Ortigas Home Depot and I imagine most other builder supply centers. Although already dry to the touch in 20 minutes, you need to wait around 6-8 hours in between coats for a strong and durable finish. Despite the added waiting time it's still 4x the amount of time saved as opposed to waiting for both your primer and paint to dry. Having wet painted floors for long periods of time isn't very convenient so that's something you really need to consider vs money saved on a cheaper brand. Also with the price of the epoxy thrown into the mix, it comes out to almost the same amount. Anyway, along with your paint, you'll need to purchase these "reducers" to "thin it out". Can has instructions on how much you need to add to your paint depending on method you're planning to use wether spray, roller or brush. Applying it is the same method as painting a wall, just use a cloth type roller (or brush or spray but I recommend a roller. I think it's the easiest, cleanest and most cost effective way to do the job especially for a diy-er). Also, make sure to do it by sections and always leave rom for foot traffic. Ie. finish one side first (both coats) before moving on to the opposite side of the room. I love that you post the updates of your home makeover as well. Fashion for the house? Meron ba nun? Hehe. I so love your floor and the room as a whole looks great. I can't wait to see the whole house when the renovation is done! Galing mo mother! Ang galing! Mukhang bagong-bago na! Thanks for sharing!The floor looks sooo cool. I think wood parquet floor would look great in our house. Thanks for sharing! Your floor looks awesome! I love it. :) I wish we had wooden flooring so that we can do this too. 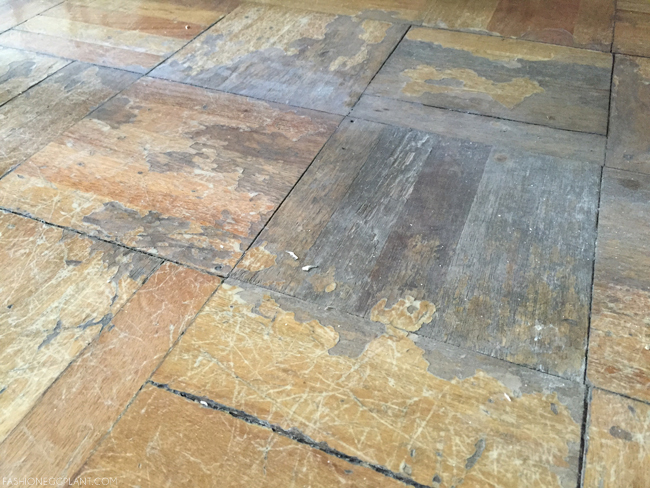 You could have gone for floor sanding and every scratch and gouge would have disappeared. Then a polyurethane varnish (choice of matte, semigloss and gloss). 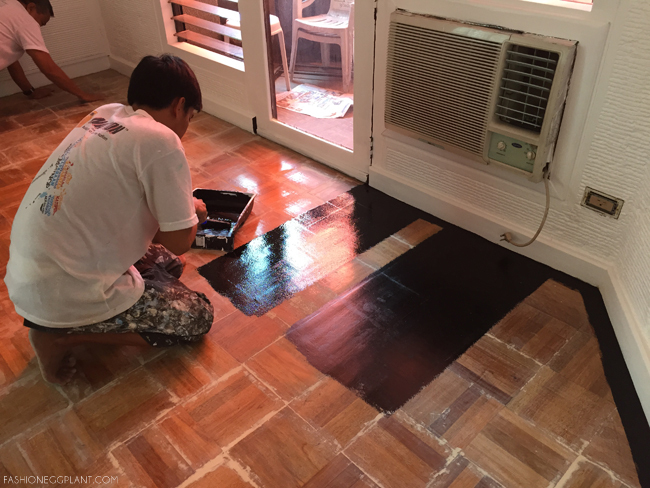 The gloss polyurethane would have made your parquet floor better than new. I like the color you used but wood parquet is expensive and with proper treatment would look more high end. That paint also scratches in time.